Does your facility have corroding bolted steel silos, tanks or vessels? Issue: Leaking, bolted steel silos. 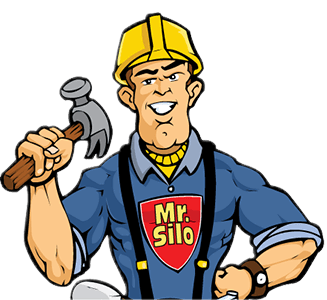 Does your facility have bolted steel silos, tanks or vessels? Badly corroded bolted steel silos, tanks or vessels, like those pictured right, are in desperate need of repair. Over time, the gasket placed between the flanges that bolt together becomes dry and brittle, causing a weak spot in the seam that can leak. The seam’s integrity can be compromised by thermal differential, pressurization by pneumatic loading or negative pressure from dust collection systems. The solution is to have the bolted seams professionally repaired. The repair consists of utilizing a special surface cleaning procedure and caulking all the seams: both vertical and horizontal. Once the caulking has dried, a proprietary sprayed-on rubber coating material bonds directly to the steel silo over the joints and lastly a top coat is added to encase the deteriorated silo. The right, middle image shows the silos prepared for the top coat. All seams have been caulked to prevent water intrusion into the silo and material leakage into the environment. After the caulking has been applied and sufficiently dried, the seams are primed and prepared for the top coat material to keep the other deteriorating areas from failing. Lastly, these are the two silos: the one on the right is finished and the left is half-way completed with the top-coat. Proper preparation is very important any time coatings are applied. Utilizing the caulking to reseal the bolted seams ensures waterproofing and protects stored materials. 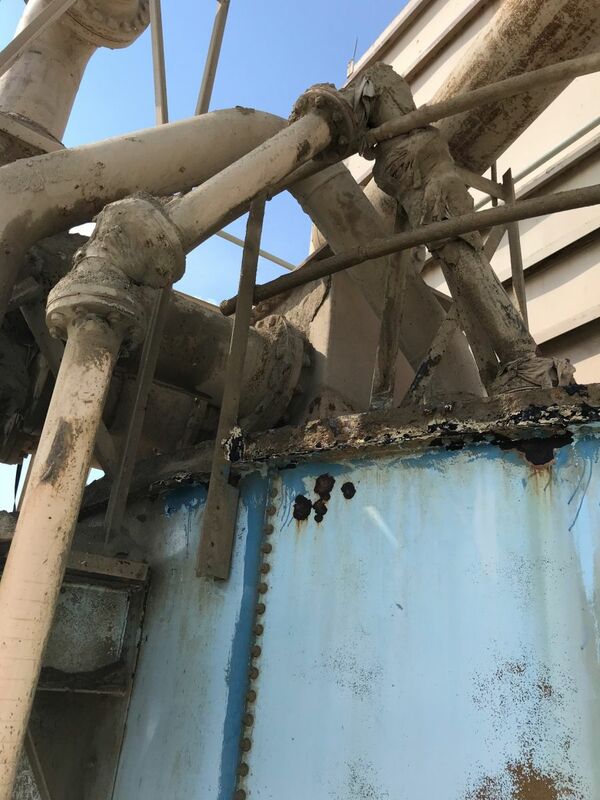 As you can see, the rubber coating not only fixes the leaking issue but gives the silos a very professional appearance once completed. The top coating can be provided in a variety of different colors.